What Latest Reverse Mortgage Changes Really Mean? In April of this year, HUD release new regulations that reverse mortgage lenders must abide by. As before, borrowers must be 62 or older and be obtaining the loan on a home that is their HUD approved primary residence. The borrower will still be the homeowner and will always retain the title except now, with a reverse mortgage, there will not be a monthly mortgage payment. The borrower will still be required to pay property taxes, homeowner’s insurance, HOA fees, and basic upkeep and utility payments. Here’s what has changed: one of the most attractive details of a reverse mortgage has always been the lack of credit and income requirements, but this will no longer be the case. According to the new rules, lenders must now consider credit and income for each applicant, similar to a traditional mortgage, the purpose being to minimize possible defaults due to the inability to pay property taxes and homeowners insurance. But unlike a traditional mortgage, if potential borrowers do not meet this criteria, there are still options through a Fully-Funded Life Expectancy Set-Aside, which is an amount drawn under the HECM that is reserved for payment of property taxes and insurance by the lender; or a Partialy-Funded Life Expectancy Set-Aside which works the same as the Fully-Funded option except a smaller reserve is drawn when borrowers meet credit requirements but not income requirements. The amount of both of these reserves is determined by the age of the borrower and the value of the home. 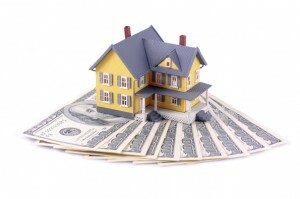 These changes apply to all types of reverse mortgages, including Reverse Mortgage for Purchase. For more detailed information regarding these options or questions about the changes, please contact me. Home values are currently at the highest level since before the recession – and because the amount of the loan is based on the value of the home, there could not be a better time than now to apply for a reverse mortgage – whether it’s a traditional reverse mortgage, a Reverse Mortgage for Purchase, or a reverse mortgage line of credit with exponential growth factor. Jan Jordan is a Reverse Mortgage Specialist serving the Fort Collins, Loveland, Longmont, Greeley, and Front Range areas of Colorado as well as Cheyenne and Laramie, Wyoming. Click here to contact Jan and learn if reverse mortgage is right for you.